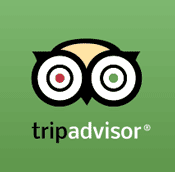 People's Choice Winner of TripAdvisor Certificate of Excellence! The Woodbine Cottage- George Champlin Mason House was constructed in 1873 as the palatial, private residence of George C. Mason, the famous Newport architect. This original 23-room Victorian mansion offers graciously appointed historic rooms. The home is decorated in period furnishings, original materials and each guest room is unique designed to evoke history whether it be the life of a servant to the master of the house. The Top of the Hill location is the best location in Newport for the beach goer to the average mansion tourist to the romantics. Newport has so much to offer as the New World's original beach resort town and more recently became famous for having the world's largest number of historic architectural buildings in one town. While the house has been nationally recognized for its historic rooms, the young, hipster owners have received many awards for their cooking as well as their honest and witty concierge services. The sarcastic humor and history make this house a quintessential New England experience. The Architect’s Inn Guesthouse was constructed in 1873 as the palatial, private residence of George Champlin Mason, the famous Newport architect. It was later the home to America's Cup sailors, the Vanderbilt family, the Belmont family as well as post-revolutionary Russian royalty. As one of the oldest Inns in Newport, it has hosted everyone from celebrities to the bourgeoisie. Located on ‘Historic Hill’, off beautiful Bellevue Avenue, (the historic playground for the rich and famous), this originally 23-room Victorian mansion offers graciously appointed historic rooms, suites and studios. The owners have a passion for historic preservation and restoration. The home is decorated in period furnishings, original materials and each guest room is unique designed to evoke history whether it be the life of a servant to the master of the house. This year, the Inns have hosted a dozen beautiful weddings, been published in yet another architectural book, won a Tripadvisor Certificate of Excellence, chosen as one of three best House Rentals in Newport, hosted pop musicians to tech billionaires, and selected as the House of Sommeliers for the Newport Preservation Society's Food and Wine Festival. It has been a fun year but we still are keeping it real. Architect’s Inn & Inn Bliss offer high end Vacation Package Specials as well as Rhode Island’s only Fully Interactive Murder Mystery Weekends. More photos, specials and this seasons decorating awards can be viewed at Facebook.com. Just click the Facebook Icon at the top of your screen. Contact Us by calling (401) 845-2547.